When I hear the term flake floor, the first thing that pops into my head is a garage floor. I’m sure most concrete flooring contractors would agree that this system is most often found in garages for its strength, ability to have a car pulled onto it, protection against oil spills, and so much more. But when you look at typical flake designs, they really only belong in a garage. 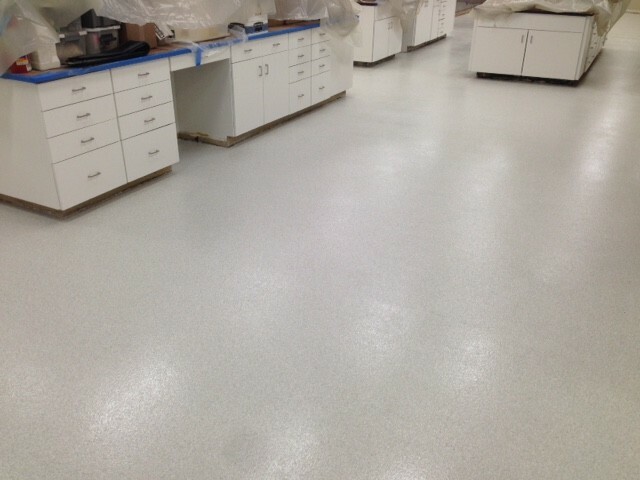 Typically, most full flake floors are a blend of 3 to 4 colors (equally blended). These colors are formulated to hide dirt, look aesthetically pleasing, and even match color schemes of companies, sports teams, etc. Having previously owned a decorative flooring company, I’ve done quite a few polymer flake floors, and even a few custom flake blends for customers. 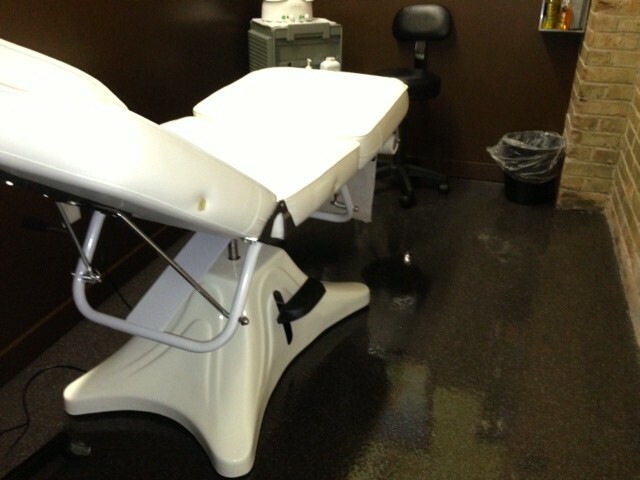 Another option I would offer customers is a solid color floor (typically a pigmented epoxy, polyaspartic, etc.) But the problem I always ran into was inconsistency, due to excluding the full flake, thus not leaving as much to “hide” in the base coat. This would require a heavy topcoat and sometimes even another coat to hide imperfections left in the floor that would otherwise be hidden in the flakes. Runyon Surface Prep has teamed up with Thermal-Chem, a coatings manufacturer, that has also recognized this problem. They have developed a creative alternative for contractors installing these systems. 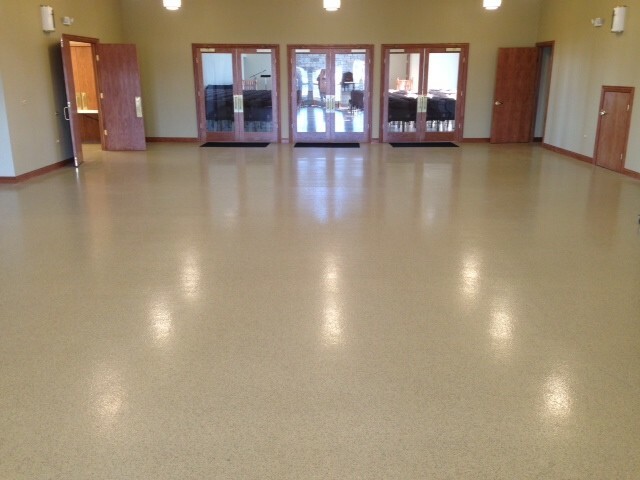 By installing a full flake floor with just 1 color, as opposed to 3-4 color blends, you can achieve a very uniform flooring system that also has a more decorative appearance. 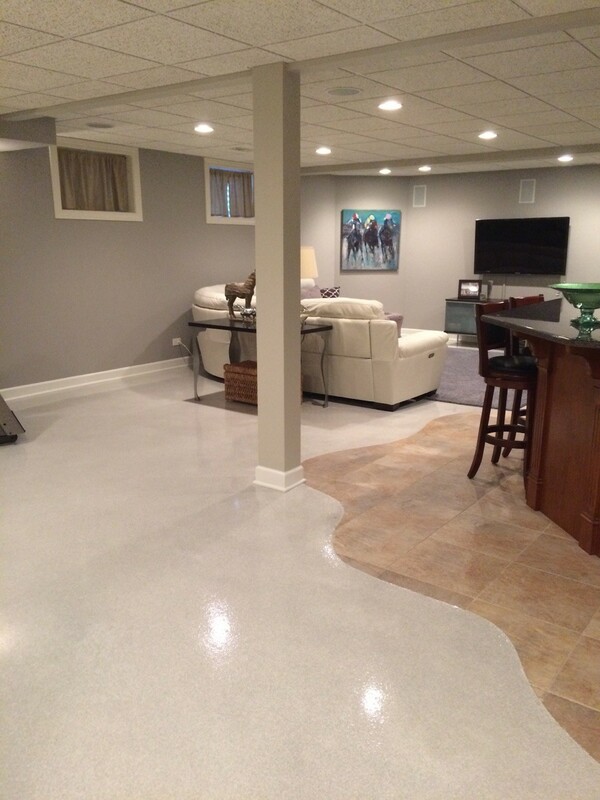 The outcome is a more uniform, less busy, resinous floor that can be installed beyond the garage. 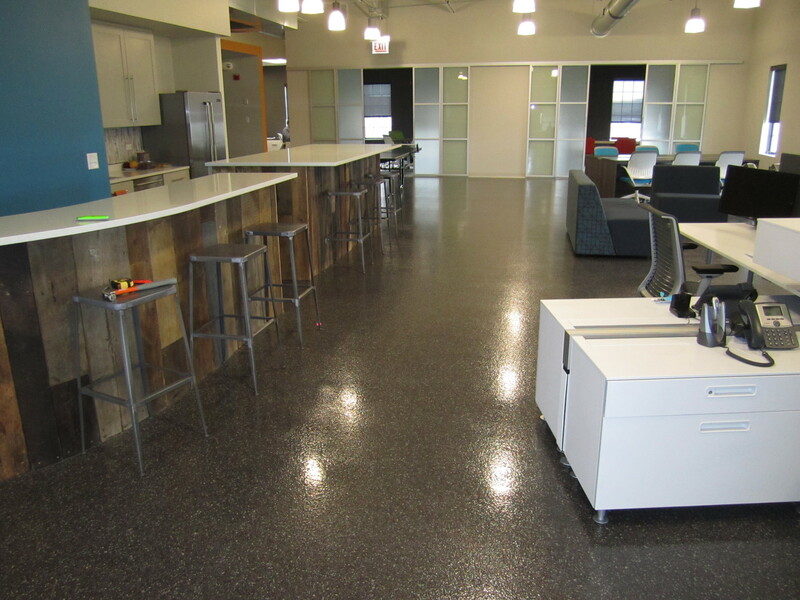 Runyon Surface Prep Rental & Supply is a full-service distributor uniquely dedicated to the concrete polishing and resinous flooring industries. We carry the full line of Thermal-Chem products – find online here. We also offer training and support, so please reach out if you ever need hands-on product or application training.